Here's a day of high adventure for ya: today fellow Scrum Clubber and monthly game host Joe has launched his first miniatures Kickstarter! 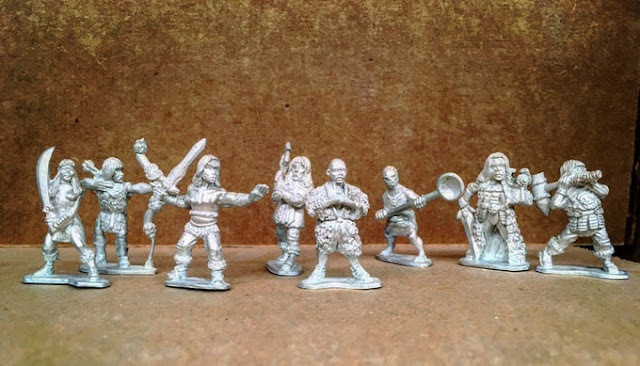 He's a big fan of classic pulp fantasy and had a series of miniatures commissioned dripping with old school charm. I've seen some sneak peeks of the initial test casts and painted samples at our monthly game nights, but today he's launched the campaign to get the final production molds created and miniatures cranked out. I've been consistently surprised at how much Joe has accomplished in the short time he's been in the hobby. He's run multiple convention games, acquired a vast array of figures and terrain, spun up our local Scrum club and has plans to launch a variety of other projects. I can only imagine he'll deliver this Kickstarter with the same enthusiasm and determination. 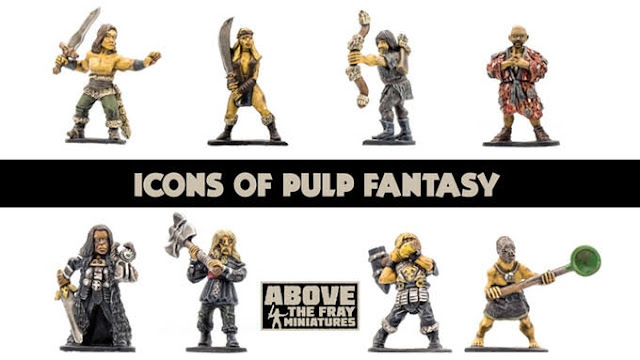 Check out the Icons of Pulp Fantasy Kickstarter running now, with final figures expected to be delivered in February. Thanks for the shout out, John! Means the world to me. You've been an inspiration to me (via this blog) before I even met you. Glad we get to game and scheme together!